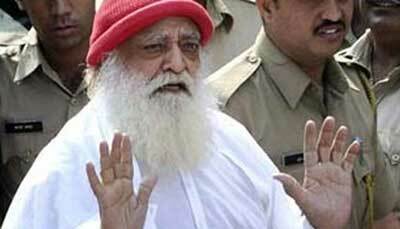 Will Asaram Bapu face further problems or do the Planets indicate some relief? 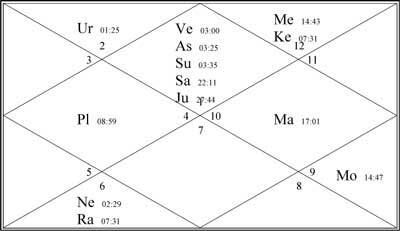 Considering the Planetary transits, Ganesha observes that Saturn will be transiting, till January 2017, through the 8th House, the House of misfortune and it will be aspecting Mars (the lord of 1st House and 8th House) posited in the 10th House of his Solar Chart. Rahu will be transiting over the Rahu through the 6th House and Ketu transiting over Ketu and Mercury posited in the 12th House till January 2016 of his Solar Chart (6th House and 12th House both signify imprisonment). All these negative effects of the transit of stars in his chart strongly indicate that there are higher chances of further complications. The transit of Jupiter through the Leo sign post 14th July, 2015 and its aspect on the Sun, Jupiter, Venus and Saturn posited in the 1st House will give great relief and respite and a lot of positive affect to his chart but the transits of the malefics may spoil the positivity that Jupiter promises. How long will the case drag on? Ganesha feels that there are lesser possibilities of having some verdict for the case in near future. As said above, the positive effect of transiting stars are lesser comparing to the negative influence of stars to his chart. But the transiting Jupiter may provide some hope. The case may prolong for a longer duration beyond the above said period because the transit of Saturn post above said period will be through Sagittarius sign and on the other hand, the transit of Rahu- Ketu will be through the Leo sign and Aquarius sign respectively which may spoil the matters related to those particular Houses of the Solar Chart which, so there may be some problems even in this period. During this time the transit of Jupiter may give some benefit during its transit through the Virgo sign and then through the Libra sign of his chart.